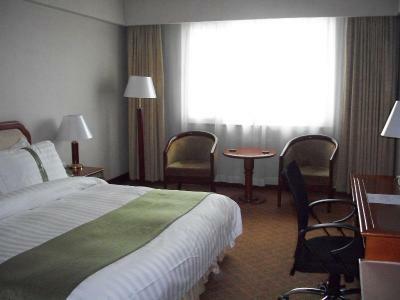 Lock in a great price for Holiday Inn City Centre Harbin – rated 8.1 by recent guests! The location of the hotel is perfect, directly across from the entrance to Zhongyang Pedestrian Street, a must see in Harbin. The staff were excellent, quite eager to help with any requests. The room was very clean, comfortable, and reasonably priced. Overall, we were very satisfied. Great location in Harbin near the pedestrian street. Rooms were very spacious and clean. Staff were super friendly and helpful and spoke good English. They arranged cars and offered us good advice for seeing the ice and snow festivals. Free Harbin beer at the cute little bar in the hotel. Great location. On site bar and restaurant. Good bathroom. Reception staff were helpful. 1. Great price for New Years. One of the benefits of going to a place that doesn't really celebrate the holiday! The prices are reasonable! 2. Eden, one of the managers, was fantastic. It was our 20th anniversary trip, and she arranged a cake and did some other things that made our stay much more pleasant. Thanks so much, Eden! 3. Location. 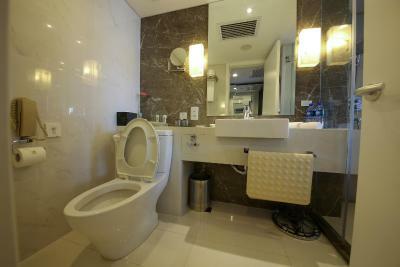 It's right in the heart of Harbin, right beside the Zhongyang Pedestrian Street and close to public transport. The airport shuttle departs just 2 minutes walk away from the hotel, too. 4. The rooms were clean and nice. Staff was wonderful We are Texans from the USA and use to A/C which had been turned off due to the fact it was in October. Our room was stuffy, and we tried to open windows as did the staff for us. But it is an old building on the 14th floor and windows would not open. So, we requested a fan. They asked us "did we know it was winter?" We laughed and said yes, but that we were use to a fan. So they looked hard and found a very old, very heavy oscillating fan on a stand and brought it up. Worked perfectly. We really appreciated their extra efforts to make us comfortable! The location is hard to beat - right next to the beginning of Central Street. There is also a nice noodles place attached to the lobby. Most of the food was cold. The coffee makers weren't working one morning (needed water added to both of them), and so there was a delay in getting coffee. Slim choice of pastries. 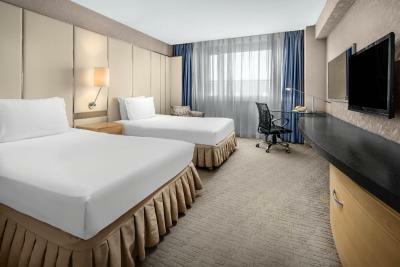 One of our top picks in Harbin.Featuring modern interiors and free WiFi in all areas, Holiday Inn is within a 2-minute walk from lively Zhong Yang Avenue. It features fitness facilities, an English-style pub and a Chinese restaurant. Holiday Inn City Center Harbin is a 5-minute walk from Saint Sophia Cathedral, a 10-minute walk from Zhaolin Park and a 15-minute walk from Songhua River. It is a 15-minute drive from Harbin Economic-Technological Development Zone, a 10-minute drive from Harbin Railway Station and a 30-minute drive from Harbin West Railway Station. Taiping International Airport is 50 minutes' drive away. It is a 15-minute drive from Taiyang Island and Bingxue Big World. 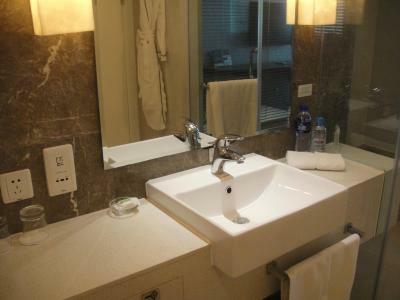 A flat-screen satellite TV, a mini-bar and a tea/coffee maker are standard in all rooms. 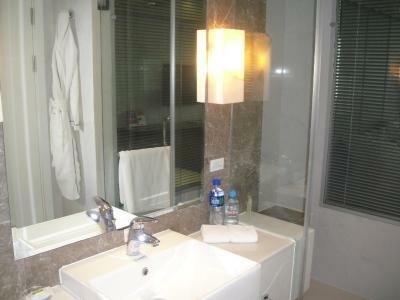 Featuring over-sized windows and bright colors, they have a bathtub and hairdryer. 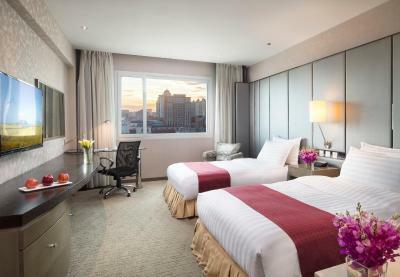 The hotel also has a business center, tour desk and a 24-hour front desk. Daoli is a great choice for travelers interested in city walks, cathedrals and cold weather. This is our guests' favorite part of Harbin, according to independent reviews. This property also has one of the top-rated locations in Harbin! Guests are happier about it compared to other properties in the area. 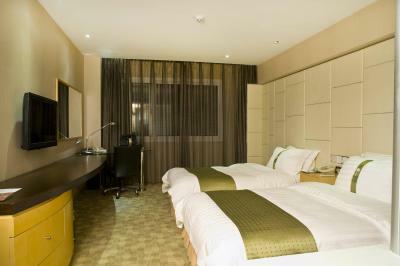 When would you like to stay at Holiday Inn City Centre Harbin? Fitted with carpeted flooring, this air-conditioned room has a flat-screen TV and a mini-bar. 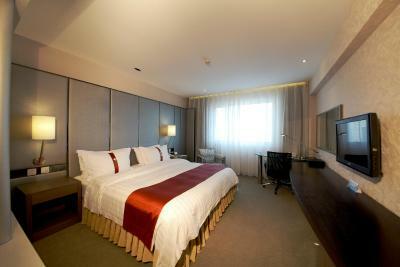 Holiday Inn Harbin City Centre is only a up-mid-range hotel managed by InterContinental Hotels Group. 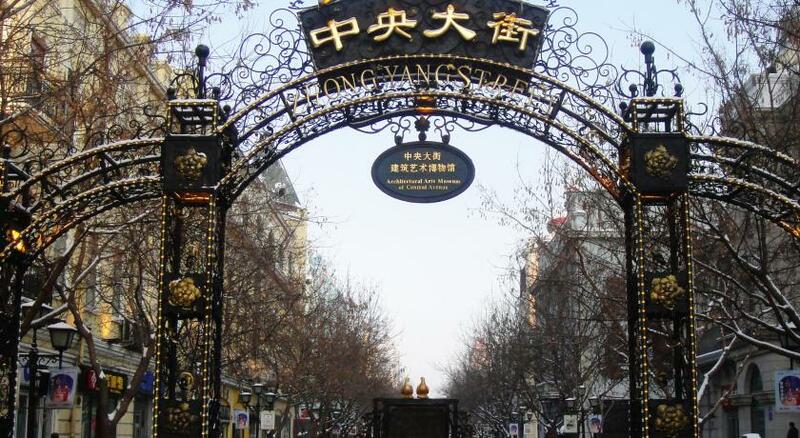 It is situated in the centre of Harbin, facing the starting point of the Pedestrian Street of the Central Avenue. Its geographic location is extremely advantageous. Walking along the Central Street to San Sophia Church just 5 minutes, to Zhaolin Park just 10 minutes, to Songhua River just 15 minutes. Convenient transportation: to Harbin Economic Development Zone 15 minutes, to Harbin Railway Station 5 minutes, to Harbin West Railway Station 20 minutes, to Harbin International Airport 40 minutes. 15 minutes ride to the Sun Island Park and Ice & Snow Word which locates in the north bank of the Songhua River. Hotel completes decoration and renovation of all rooms and facilities in 2013. All we wish is to make you satisfied and comfortable. The unique Le Petit Paris provides international food and service for you, Stay Real and truly be yourself in Holiday Inn Harbin City Centre! Hotel surroundings – This neighborhood is a great choice for travelers interested in city walks, cathedrals and cold weather – Check location Excellent location – show map Guests loved walking around the neighborhood! House Rules Holiday Inn City Centre Harbin takes special requests – add in the next step! 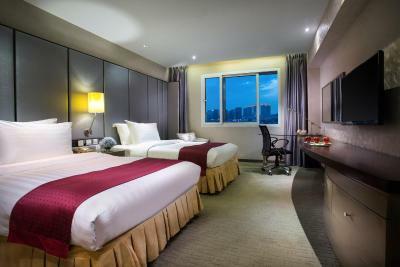 Greatwall Pacific Jin Holiday Inn City Centre Harbin accepts these cards and reserves the right to temporarily hold an amount prior to arrival. Holiday Inn City Centre Harbin accepts these cards and reserves the right to temporarily hold an amount prior to arrival. I have to mention is the hotel taxi service, we'd been told the Harbin Taxi usually don't use meter and charge very high fees, so we booked with the hotel. spent 400 RMB ( around usd 60) for Snow Fair and Ice and Snow world round trip, the service was OK. And 2 days later, we went to the ice and snow world again, we took taxi this time, the fare was like 50 RMB one way (they don't use meter, have to negotiate the fare before you get on it), and there's actually a bus stop near the exit of the park, we didn't take the bus because it was too cold we don't want to wait. any way, I think the hotel Taxi service is just too expansive, it's convenient, but you can take the Taxi instead, way cheaper. We had a bad experience with a taxi driver, but that was not the fault of the hotel. The menu could have some more western options. They could work on improving the bar food. As there aren’t many western options in Harbin. Wheelchair access at the front entrance was not easy to manoeuvre as ramp was a little steep and side door was heavy.